When I was 6 I had "My Book About Me". 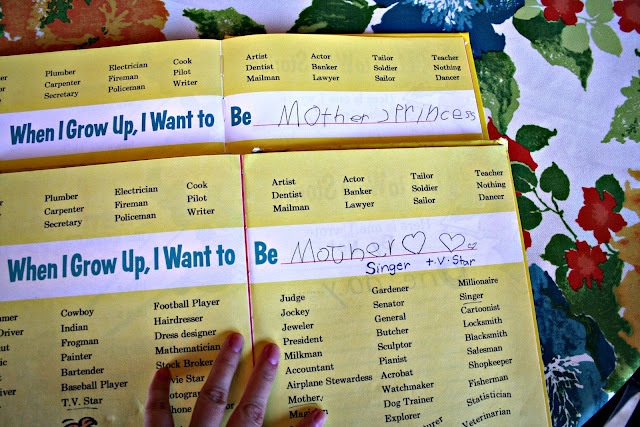 I loved to fill in all the pages about my favorite color and how many steps it was to my mailbox. I got Lydia one for her birthday and she got right to work. She came to me a few days ago to help her with the "when I grow up" page. "What do I put here?" "Well, you write down what you want to be when you grow up." She looked at the jobs on the page for a while. 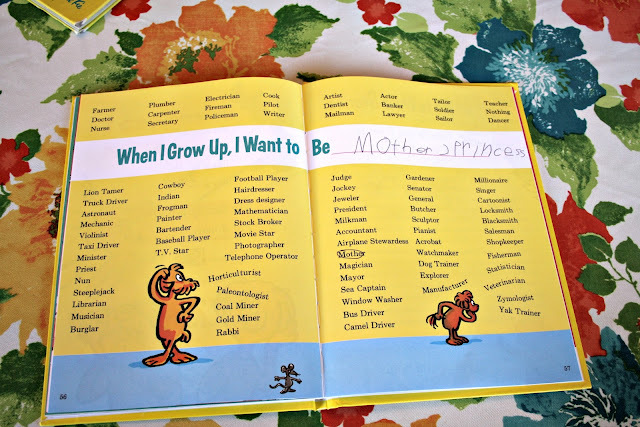 "I can't find "mommy" on the list." I showed her where to find the word "mother". 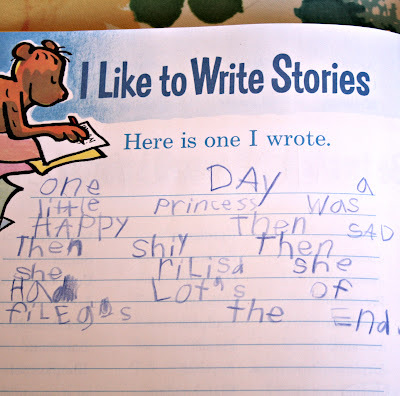 "Can I write two things?" 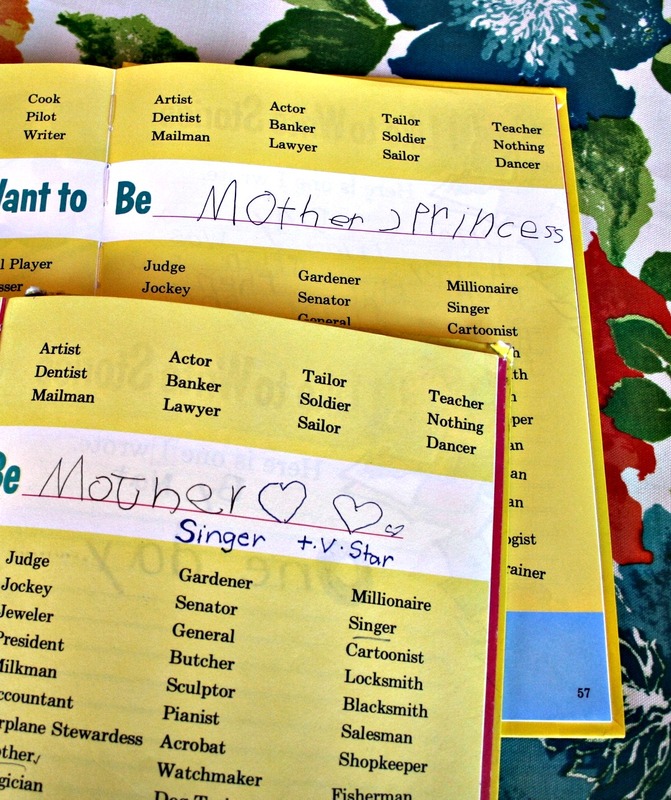 She carefully wrote down "Mother" and "Princess". I gave her a hug and told her I wanted to show her something. "Look Lydia. Here is my book from when I was your age." "They look a lot the same don't they?" I hope she gets to grow up to be a mommy to a beautiful little girl too. 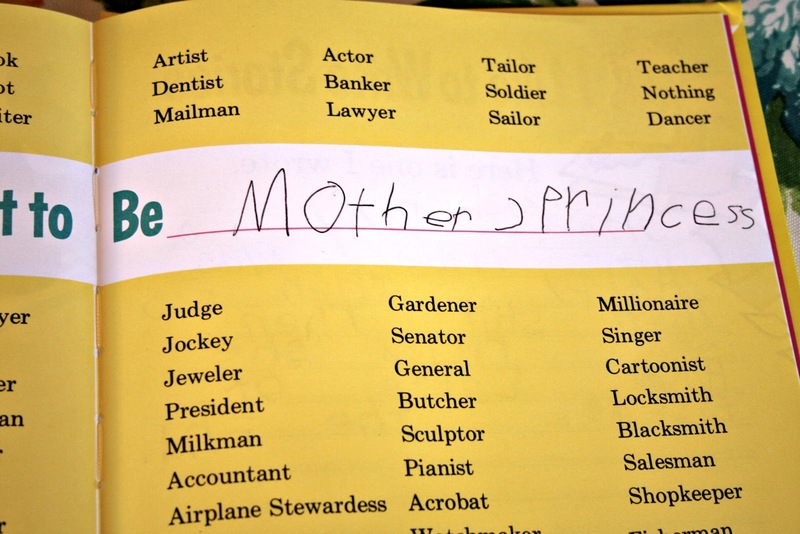 I'm so glad I decided long ago to be a mother. "One day a little princess was happy, then sad, then shy, then she realized she had lots of feelings. All my kids have those books too. Love them. 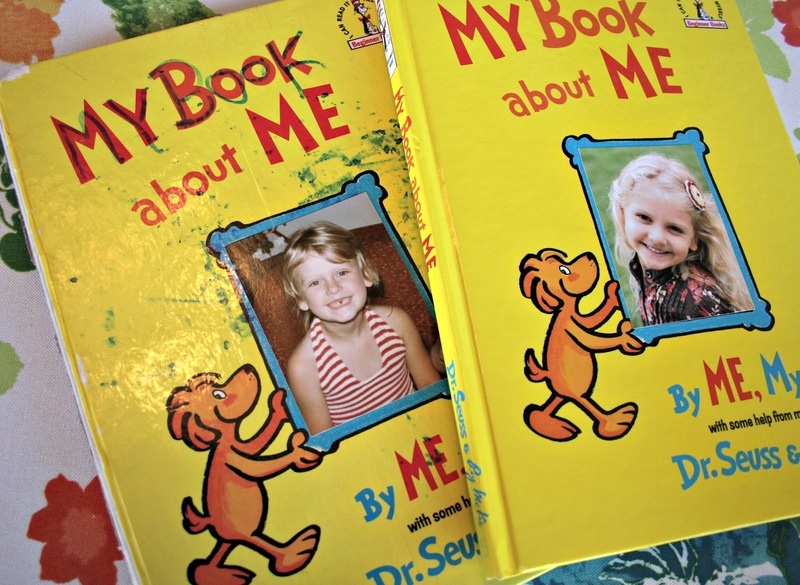 I loved mine growing up, mine is not exactly like theirs but fun to still share with them. That is a great idea! Love it. Thanks for sharing Nat. So cute! Where did you get that book? I've never seen one before. 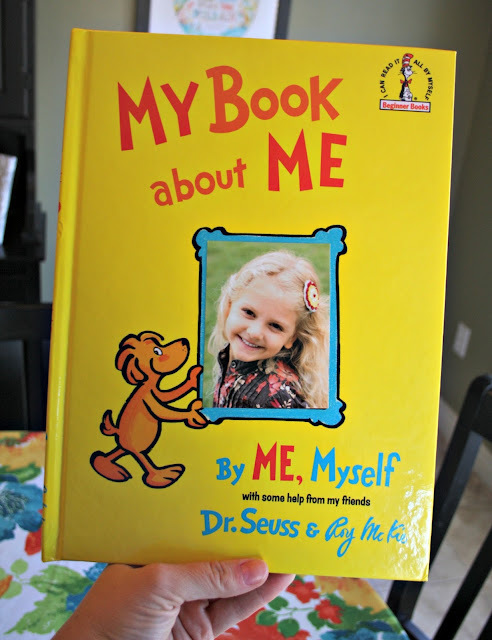 What an awesome idea for a book! And how fun that you still have the one you did as a kid to share with your daughter!